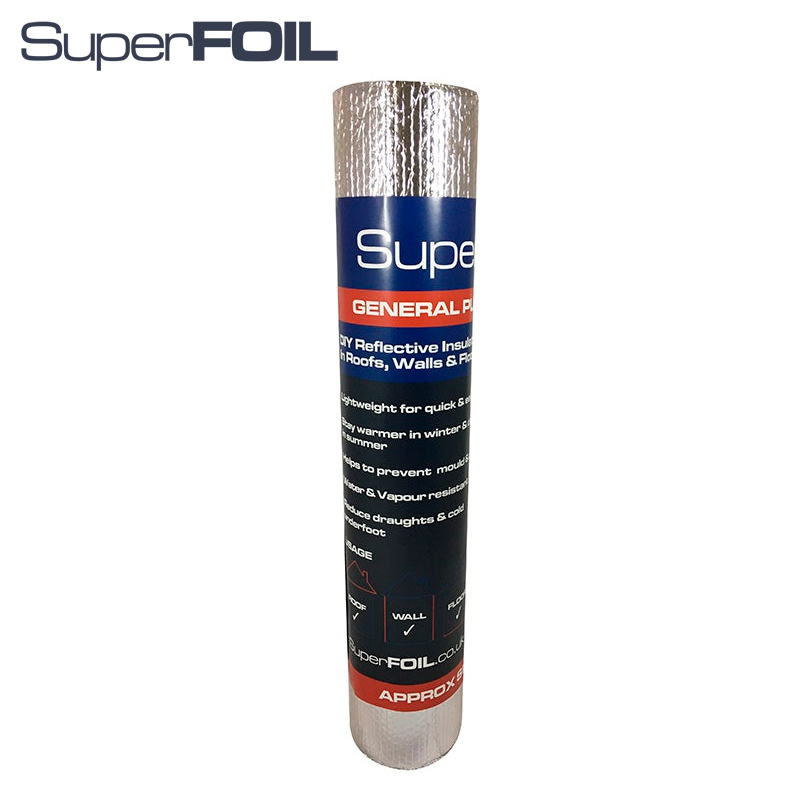 SuperFOIL General Purpose Wrap multifoil insulation is a multi-layer DIY reflective insulation that can be installed in roofs, walls and floors to increase the thermal performance of buildings, preventing mould and damp and reducing draughts. 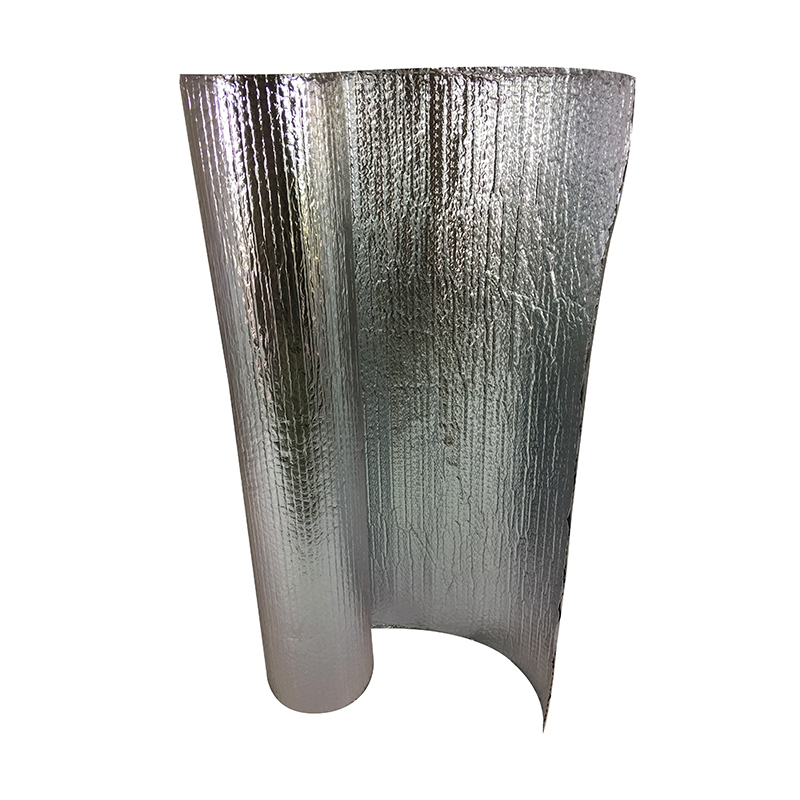 This multi-layer air bubble insulation from SuperFOIL is manufactured from 3 layers of air bubble insulation roll with coated aluminium faces to make General Purpose Wrap resistant to corrosion and even more durable. The reflective aluminium facing also allows this general purpose insulation to act as a radiant barrier, reflecting heat back into the building.  SuperFOIL General Purpose Wrap is a waterproof multifoil insulation that can be used for insulating roofs, under floors and in walls as part of a dry lining system, for insulating in greenhouses, and even for insulating industrial buildings. Its general purpose use makes it suitable for many applications across a range of domestic, commercial and industrial builds. This multifoil insulation resists the passage of moisture to prevent mould and damp whilst it utilizes low emissivity air gaps to maximise performance and reduce draughts in under floor applications.